You've made it through the wilderness of Wednesday, and now I think it's time you had some spinsterly fun. If you're spinstering like I am this week, then you've probably been listening to Taylor Swift's new album pretty much nonstop. But alas, the new album can only occupy your ears. Perhaps you're in search of a little more of a full-emersion Taylor Swift experience. That is why I've created this Taylor Swift coloring page. 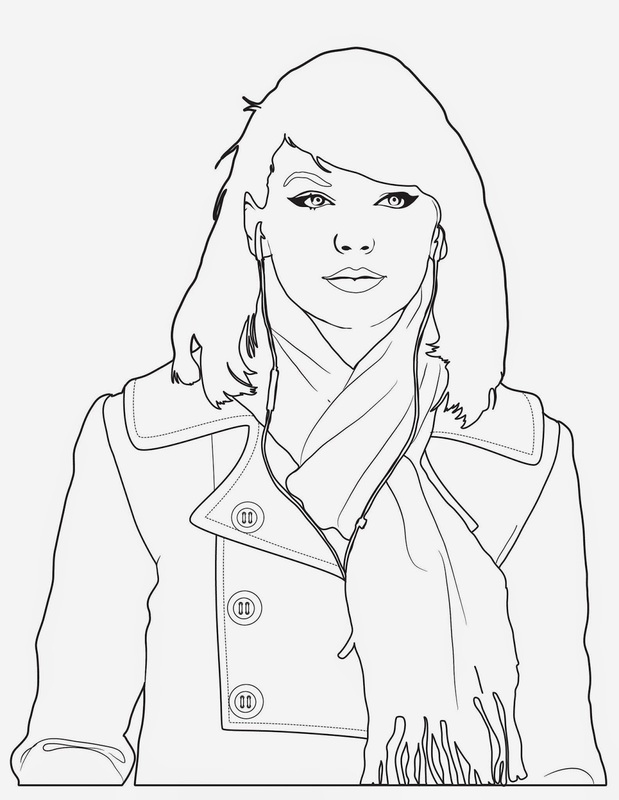 The coloring page should print out nicely on an 8.5x11 piece of paper, and you can color her to your heart's content. I know I should have added some cats to the background, but I figured if you were really gonna get creative, you could draw those in yourself! I've decided Taylor Swift and I should be friends, so if you happen to know her, please feel free to direct her to The Spinsterhood Diaries so we can meet. I'm hoping this first offering of a coloring page will earn me some points toward also meeting her fabulous cats. As a bonus, she can have all the diet coke because I drink regular. So that works out nicely. As always, if you're particularly proud of your work, please do share on The Spinsterhood Diaries Facebook Page! I love to hear from you! #FAFATL 3 and See You Soon!